We visited this park on September 5, 2017, and stayed for 7 day(s). After tolerating a week in the downtown Denver area, we pointed our motorhome south to spend a fabulous week in the Colorado Royal Gorge region. To get there drive I-25 from Denver to Colorado Springs, then Hwy 115 to US-50 west into Cañon City. It’s a beautiful drive, although heavy traffic much of the way. The peaceful Colorado Royal Gorge / Cañon City KOA was a splurge after enduring the big city. All RV parks in this region are fairly close in price, but we had $50 in VKR points to spend so that brought our price down a bit. From the road, the park looks like it’s seen better days, but once you’re in the park it’s quite nice and the mountain views are spectacular. We had a long, pull-through site with a tree-shaded patio, and an unobstructed view. 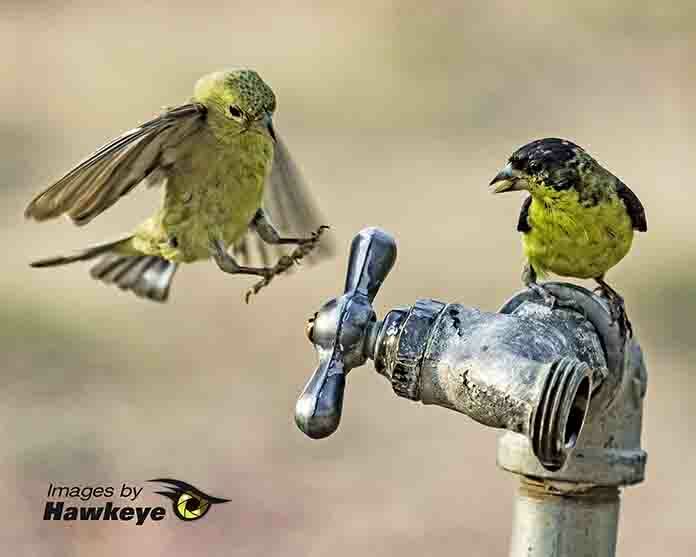 A slow-dripping water faucet on the other side of our patio beckoned a continual stream of songbirds – a big plus for birders like us. 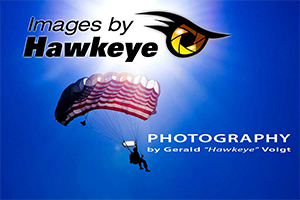 Harrier Hawks and other wildlife frequented the grassy meadow nearby, and at night we were treated to the wails and yips of coyotes. 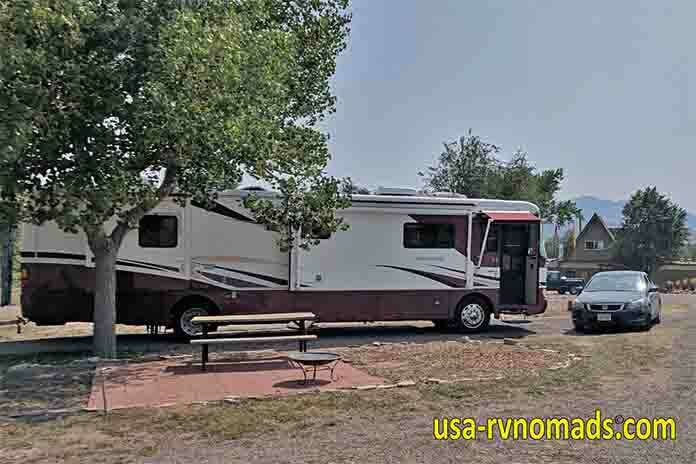 The Colorado Royal Gorge / Cañon City KOA is a fairly large park, with gravel, 50 AMP pull-through sites that can easily accommodate big rigs, as well as a tent-only area with more secluded sites. It has all of the typical KOA amenities: laundry, store, pool, mini-golf, and this one also has a go-kart track and a giant slide. We had good Verizon and AT&T signals, as well as over-the-air TV. Nearby Cañon City has plenty of shopping, dining, and recreational opportunities. 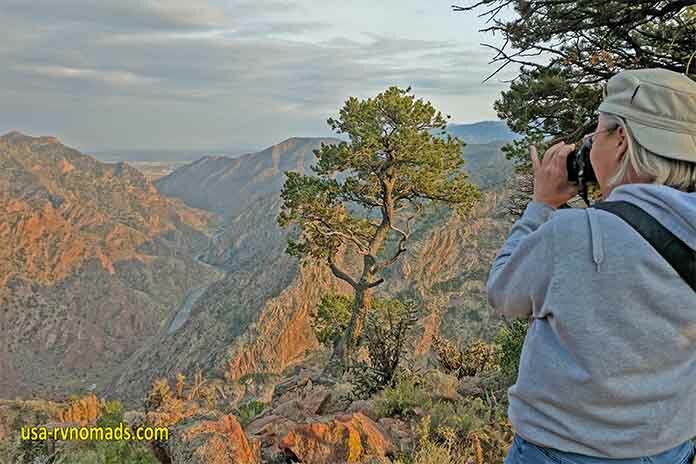 A short drive up the road from the KOA will take you to the south rim of the Royal Gorge where you can picnic or hike. 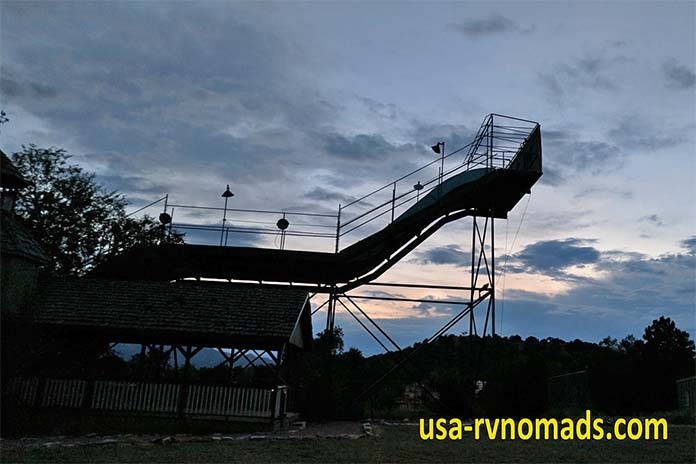 Or drive a bit further to the Royal Gorge Bridge and Park – a naturally beautiful area, turned tourist attraction. From there, for a fee you can walk out on the highest suspension bridge in Colorado, take a gondola ride or a zip line across the gorge. We satisfied ourselves with a short hike and photo shoot, rather than pay $24 apiece to enter the park itself. 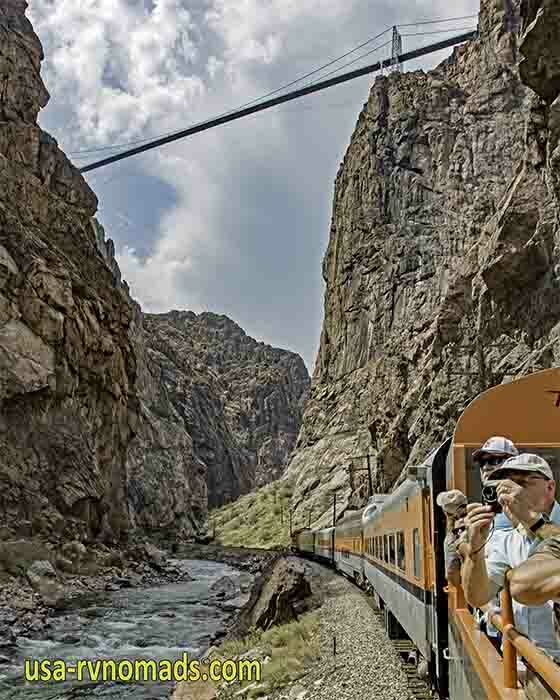 In Cañon City, we boarded the Royal Gorge Train – a special treat for our 38th anniversary. The Colorado Royal Gorge train route takes about 2-1/2 hours round trip. You choose from several classes of service on a classic 1950’s era train, with dining and drink options. We chose Club Class and had lunch and drinks onboard the 12:30 pm run. After lunch, we walked out to the open air gondola car for even better unobstructed scenic views. After everything we enjoyed in the area, including the very peaceful KOA and its beautiful views, we found it hard to leave. 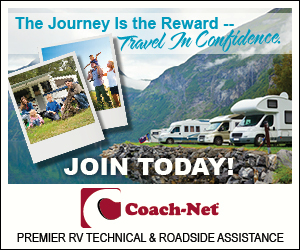 Visit the Royal Gorge / Cañon City KOA website.